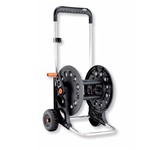 This garden hose cart kit consists the hose cart "Ecosei" completely assembled, packed in a carton with a roll of 20m of 1/2 inch hose (12 - 17mm diameter). 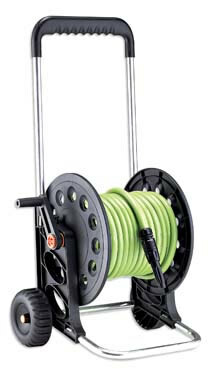 It also comes complete with tap connector and reducer, 4 couplings (2 for preparing the extension) and spray nozzle. Straight out of the box and into the garden.